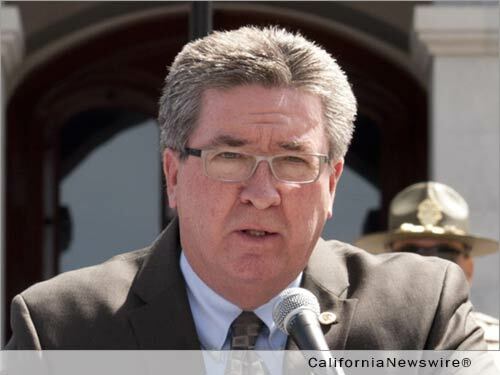 SACRAMENTO, Calif. /California Newswire/ — Calif. Assemblyman Ken Cooley’s AB 2127 passed out of the State Senate this morning with a bipartisan vote. AB 2127 seeks to reduce brain injuries and concussions among California’s middle and high school football players by limiting “full-contact” practice time and by ensuring student-athletes who have suffered a brain injury do not return to the playing field too soon. Procedures for return-to-play will be developed by the California Interscholastic Federation, which oversees competitive high school sports for 1,540 California schools. AB 2127 prohibits full-contact football practices in the off-season. 19 other states have taken this step. The bill also limits the amount of “full-contact” practice teams may hold during the pre-season and regular season to two (2) per week, and they shall not exceed 90 minutes in any single day. Coaches can structure practice sessions of any length, subject to current CIF guidelines that restrict total practice time to no more than 18 hours in a single week. Such practice sessions can address skills development, conditioning, and drills against static pads or equipment; the 90 minute limit only applies to full-speed, full-contact, game-like sessions. Drills that result in contact that are intended to teach proper tackling technique, but do not involve collisions or activity typical of an actual football game are not considered “full-contact.” Finally, AB 2127 institutes a supervised return-to-play protocol for athletes who have suffered a concussion or brain injury. This bill, if signed into law, would make California one of several states to take preventative measures to reduce brain impacts in middle school and high school football. Texas, long-known as a center of high school football, allows only 90 minutes of full-contact practice per week during the regular season. Assembly Bill 2127 now awaits Governor Brown’s signature.